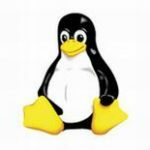 The latest version of the Linux kernel, 3.10, has been released following a brief delay and promises significant improvements over its predecessors for users of solid-state storage devices and AMD graphics hardware. Announced late last night by Linux founder Linus Torvalds, the release was delayed by a day while he decided whether or not to run an eighth Release Candidate (RC) trial. ‘While I might wish for fewer pull requests during the late RC’s – and particularly the ones that came in Friday evening; inconvenient for a weekend release,‘ he wrote on the kernel mailing list, ‘at some point delaying things doesn’t really help things, and just makes the pent up demand for the next merge window worse. 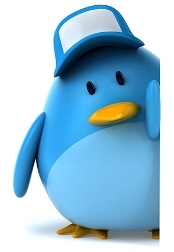 As well as the usual fixes for bugs in the Linux 3.9 kernel, 3.10 – which comes just nine weeks after its predecessors, a full week less than is usual – includes support for the ‘bcache’ block-layer cache which allows a fast solid-state drive to be used as a cache for a larger, slower mechanical drive. Designed as an alternative to ‘dm-cache,’ added to Linux 3.9, ‘bcache’ works on the level of individual blocks rather than whole files – theoretically boosting performance over file-level solutions, and allowing Linux users to quickly set up their own hybrid storage devices. 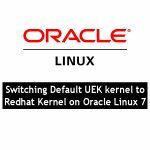 The kernel has also been given interfaces that can control the Unified Video Decoder (UVD) portion of modern AMD graphics processing units (APUs.) Designed to accelerate the decoding of compressed video, UVD has previously only been available using AMD’s closed-source proprietary driver – but the new kernel will be followed by an open-source driver to shunt video through UVD. Support for AMD’s latest Richland APUs has also been included. Other changes in Linux 3.10 include tweaks to the Samsung UEFI fix that will prevent the write-blocking mechanism designed to protect the devices from bricking from triggering on devices that aren’t affected by the flaw, support for running on ARM’s big.LITTLE chip architecture, additional drivers for previously poorly supported hardware including Apple’s IrDA receiver and Roccat’s latest Kone Pure and IskuFX devices, and networking tweaks to improve performance. As with most kernel releases, it will take time before the latest kernel is picked up by most mainstream distributions. Many Linux distributions are still using kernel 3.5, although given the modular nature of the operating system it’s not uncommon for users to download the source code for bleeding-edge kernels, compile and install them by hand in order to take advantage of the new features on offer. More details are available on the official Linux Kernel Archives website.